As a high-risk pregnancy can pose challenges before, during, or after delivery, you and your baby will need special monitoring or care throughout your pregnancy. The words “high-risk” covers several situations. Sometimes a high-risk pregnancy is the result of a medical condition that occurred in the past or is still present before pregnancy. In other situations, a medical condition that develops during pregnancy for either mom or baby causes a pregnancy to become high risk. Age: Pregnancy risks are higher for mothers age 35 and older. Habits: Smoking, drinking alcohol and using illegal drugs can put a pregnancy at risk. Chronic conditions: Underlying illnesses, such as high blood pressure and diabetes, can increase pregnancy risks as well as anemia, an infection, or an underlying mental health condition. Medical history: If you’ve had a prior C-section, a baby born with low birth weight, or a birth before 37 weeks of pregnancy, your subsequent pregnancies may be considered high-risk. Other factors include a family history of genetic conditions, miscarriages, or the death of a baby shortly after birth. Multiple pregnancy: Pregnancy risks are higher for women carrying twins or higher order multiples. Pregnancy complications: Problems that develop during pregnancy may create risks. Your physician may discuss other concerns such as too much or too little amniotic fluid or Rh sensitization, which occurs when your blood group is Rh negative and your baby’s is Rh positive. Whether you know ahead of time that you’ll have a high-risk pregnancy or you simply want to prevent a high-risk pregnancy, you can follow some simple steps to decrease risk for you and your child. Schedule a preconception appointment. If you have a medical condition, your treatment might need to be adjusted to prepare for pregnancy. Your doctor might recommend to start taking a daily prenatal vitamin and reach a healthy weight before you become pregnant. Seek consistent prenatal care. Regular prenatal visits can help your doctor monitor your and your baby’s health and decide whether or not to refer you to a specialist. Avoid risky substances, such as tobacco, alcohol and illegal drugs. Get your doctor’s consent before you start taking any medications or supplements. In addition to routine prenatal screening tests, your health care provider might recommend a few other tests or procedures. Specialized or targeted ultrasound. This type of fetal ultrasound targets a suspected problem, such as abnormal development. Cervical length measurement. Your doctor may measure the length of your cervix using an ultrasound to find out whether you may be at risk for preterm labor. Lab tests. 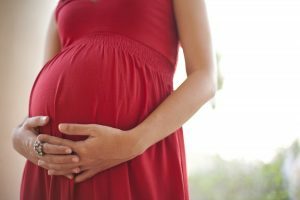 Your health care provider might check for fetal fibronectin — a substance that acts like a glue between the fetal sac and the lining of the uterus – by swabbing your vaginal secretions. The presence of fetal fibronectin might be a sign of preterm labor. Amniocentesis. During this procedure, a sample of the fluid that surrounds and protects a baby during pregnancy (amniotic fluid) is withdrawn from the uterus. Typically done after week 15 of pregnancy, amniocentesis can identify certain genetic conditions, as well as neural tube defects. Cordocentesis. This test, usually done after week 18, is also known as percutaneous umbilical blood sampling. The test can identify blood disorders, infections, and chromosomal conditions by a fetal blood sample from the umbilical cord. Biophysical profile. This prenatal test is used to check on a baby’s well-being. The test combines fetal heart rate monitoring and fetal ultrasound. Ultimately, the decision to pursue prenatal testing is up to you and your partner as some prenatal diagnostic tests carry risks themselves. Discuss the risks and benefits with your health care provider.